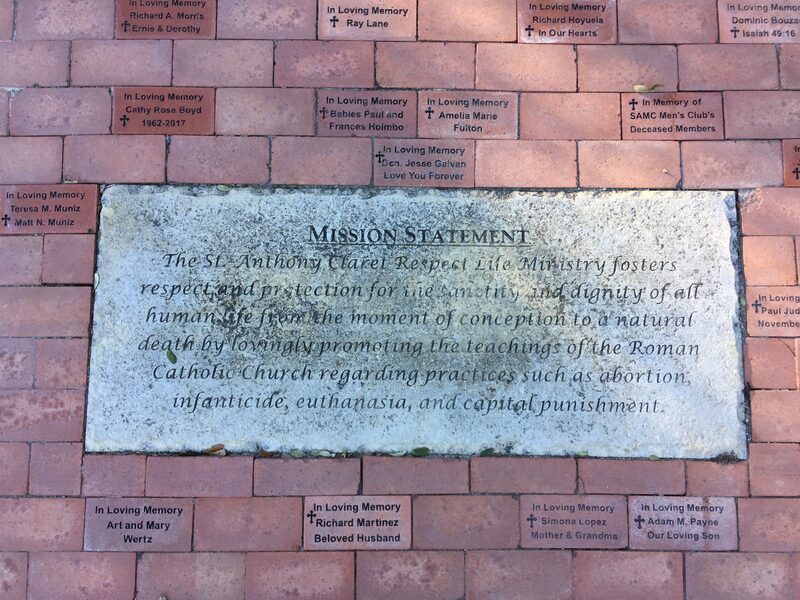 The Respect Life Ministry seeks to foster respect and protection for the sanctity and dignity of all human life from conception until natural death. Life issues such as abortion and euthanasia have touched many lives; in love, we peacefully and prayerfully offer resources to those seeking encouragement and information. There are many ways to get involved in this ministry and its activities, projects, education, and prayer. 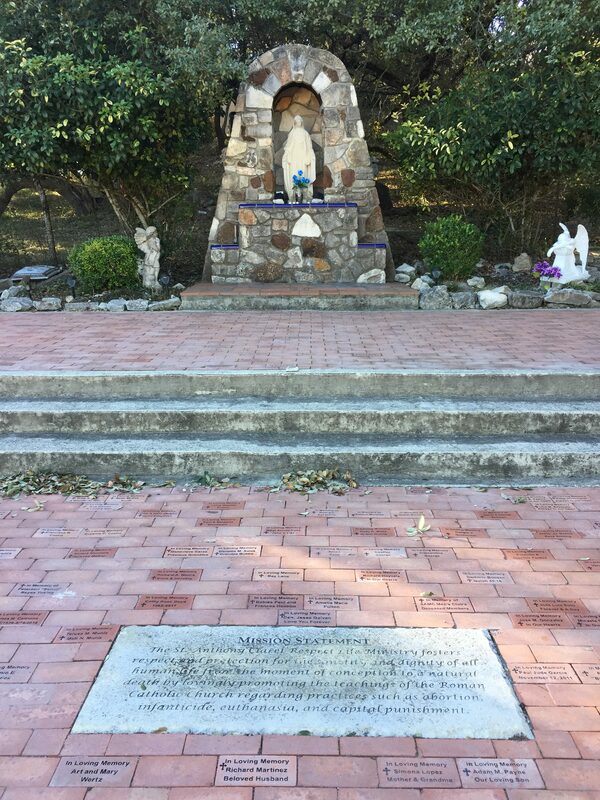 Activities and projects happen all year, especially during Respect Life Month (October) when the large cross is draped in pink and blue and there is a powerful memorial to babies who have been lost to abortion in the Rosary garden. We also help moms who have chosen life by organizing diaper drives and baby showers, and participate in various Respect for Life activities in the community. These are only a few of our pursuits, and we welcome new ideas on how to share the message of life to our parish and beyond. Education is another large part of our ministry. Our primary outreach is on the last FULL weekend of each month after each Mass, when we set up the Respect Life Info Table in Narthex. This provides our parishioners with pro-life resources as well as information on how to get involved. Our Ministry also cooperates with the Religious Education coordinator to deliver age appropriate Respect Life talks. These focus on the Catholic Church’s teachings on the dignity of all human life. Volunteers are always appreciated in all our work! Prayer is the most powerful thing we can do! The last Monday of each month from 6:30-7:30 p.m., is a Holy Hour specifically for the end of abortion. Following that at 7:30 p.m., there is a beautiful Mass for Life. The Respect Life Ministry manages the Grotto area. If you would like to personalize a brick, please contact Kelly Comeau.